Highlight friendship in struggling forward, and gain happiness from communication. On July 18, Shanghai “HaiZhiBao Summer Football League Match” formally started in HaiZhiBao Training Base of Shanghai World Expo Park. Teams from various units in Shanghai gather here. 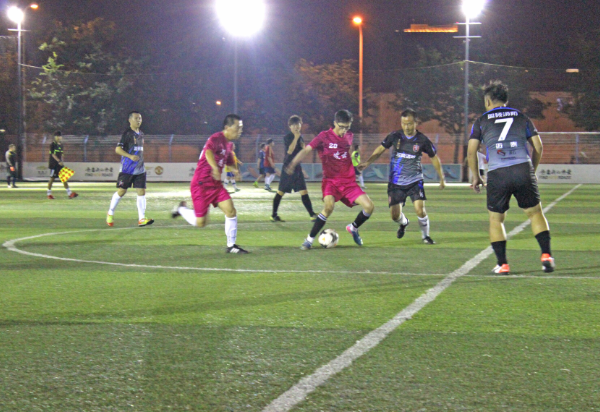 In the first match, Shanghai Zenith Football Association ----“Lingyun Football Club” (hereinafter referred to as Lingyun FC) firstly fought against the strong Pudong team, “Ying Shuo Fire Engineering”. With close strength, the two teams had a fierce and wonderful friendly football match. The match had a very fierce process. Players of both teams fell for several times in scrambling for the football. The new member of Lingyun FC, the door god, Ling Gang, picked up the football from high position and blocked it from low position, and had a tacit cooperation with the defender to resolve the goal crisis for several times. In the third minute of the second half, Zenith team dispatched the strong wing defender, Ning Jiajia, who is called “Ning One-kick”. He lived up to expectations, kicked the football powerfully after successful steal from the wing, and had it directly shot to the dead angle after a magnificent and powerful outer-instep world ball, which surprised the goalkeeper of the opponent. In the tenth minute of the second half, the “well-informed” Wang Zhe positively strove for the ball, and started to shoot powerfully at 20 yards in front of the goal after steal; then the football came back to the “well-informed” after being kicked out by the opponent’s goalkeeper. After he transferred the ball to the front of the goal, the smart “Lingyun Cristiano Ronaldo”, Wang Xihai, outflanked the ball by his right foot, and then shot it to the net again. As time went by, the match became much fiercer. With the firefighter player’s breaking the gate of the goalkeeper, the match ended in friendly atmosphere. 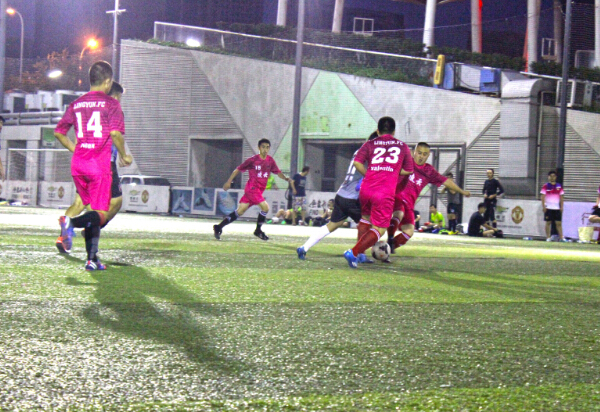 In the end, Lingyun FC was unfortunately lost to Ying Shuo Fire Engineering in little score difference. Although this is a violent match, the core purpose of the match is physical exercise, friendship strengthening, and teamwork spirit development. As reported, the Group B match in the Group Stage will be held at 4:00 p.m., in July 25. Then, Zenith team will fight with the likely winner, “DaBaoJian FC”, to have a more wonderful football match.